The car accident injury attorneys here at Edgar Snyder & Associates have long advised our clients seriously hurt in motor-vehicle crashes not to say anything, and not to sign anything. Today we want to renew our efforts to educate car accident injury victims about the dangers of making a recorded or written statement to an insurance company—whether it's yours or another driver's. A new injury questionnaire being used by State Farm deserves a specific mention. The document, sent to people who've been injured in a car accident, asks open-ended questions about both the accident and associated injuries. What are your specific injuries from this accident? Are you receiving medical care? Please list the provider name and address. Have you lost any income as a result of the injuries you sustained in this accident? If so, how much? When clients receive one of these State Farm questionnaires, or a similar document from another insurance company, they sometimes mistakenly believe it is just standard paperwork. Sometimes, they mistakenly believe they are required to complete and return the document. We can't stress to you enough: Don't do it. You don't have all the information. Many of these forms ask questions about the scope of your injury, and how it has impacted your work, hobbies, and other daily activities. Often, though, the extent of injuries car accident victims suffer is not immediately known. Until it is, accident injury victims cannot accurately know—or begin to detail—how the injury will impact their daily life, work, and other activities. Completed forms will be part of the court record. If you file a legal claim, the information you provided through the injury questionnaire can—and will—be handed over to the other person's insurance company and lawyer as part of the official court record. That means that you'll essentially be "locked in" to the written answers you provided—even if you didn't have the proper information at time. This could negatively impact your legal case. Completed forms paint you into corners. If you bring a claim, the information you provided through the injury questionnaire will potentially lock you into a statement that may change over time. You are potentially limiting your own case with incomplete information and creating evidence to be used against you at a later date. You're not equipped to answer the questions posed. Forms such as the one currently being used by State Farm are best completed with the assistance of an experienced injury attorney—someone who understands how the answers provided can potentially impact your legal claim. The bottom line? 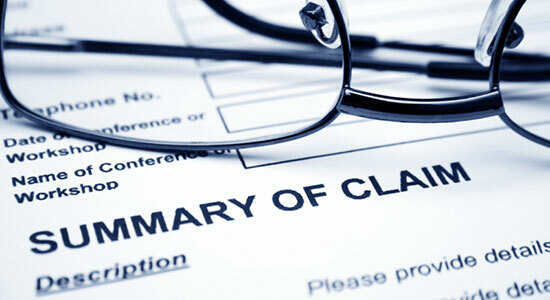 An attorney will help provide necessary information to the insurance companies while preserving your legal rights. Please, if you or someone you care about has been seriously injured in a car accident, and you've received an injury questionnaire from an insurance company—even your own—let us help you. Call Edgar Snyder & Associates today for a free case review. We're available 24/7 to answer your legal questions, there's never an obligation to use our services, and there's never a fee unless we get money for you.